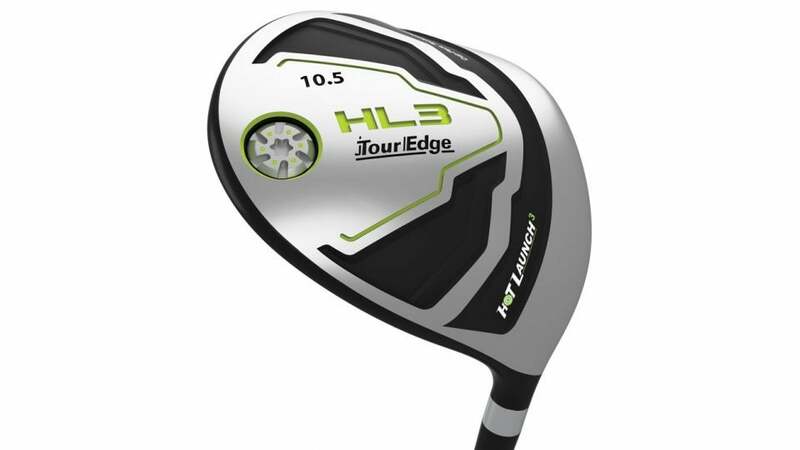 The new Tour Edge Hot Launch HL3 driver. SPECS: 9.5°, 10.5° with UST Mamiya for Tour Edge graphite shaft. RECOMMENDATION: Designed for mid- to high-handicaps who don't want to struggle getting the ball airborne. KEY TECHNOLOGIES: Forged titanium cup face uses varying thicknesses to deliver more distance on off-center hits; the trough in the sole increases face flex, especially on low contact; the rear sole weight shifts the center of gravity deeper in the clubhead for added forgiveness and a higher launch. Also available in a slice-busting offset model. There's simply no driver on the market with these specs at this price point. Sure, you could spend more, but for casual players, beginners or higher-handicaps, the HL3 gives you all you need—with money left over to, you know, actually go play golf. The revamped, high-MOI design does everything it can to help get the ball airborne and on-line, while the new titanium face cup adds speed, no matter where you catch it. Tour Edge's marketing team has this product line dialed in: "Get Fit, Spend Less, Play Better." Sounds good to us. "Incredibly easy to hit high for just about anyone. Consistent performance regardless of where on the face contact is made. Launches it high with a moderate spin rate and good forgiveness, particularly for a value-priced model."